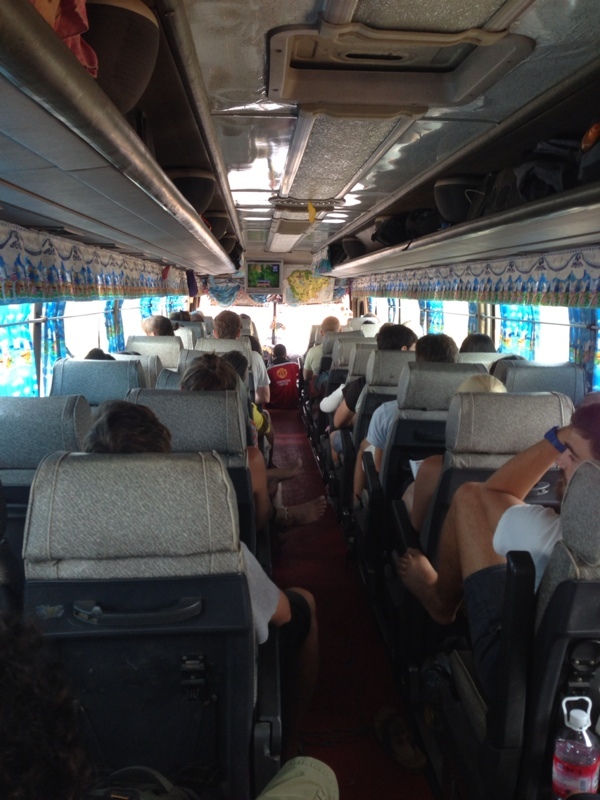 Siem Reap to Bangkok by bus is a long and exhausting trip that last about 10 hours. At least you know from the beginning, but somehow I recommend it. 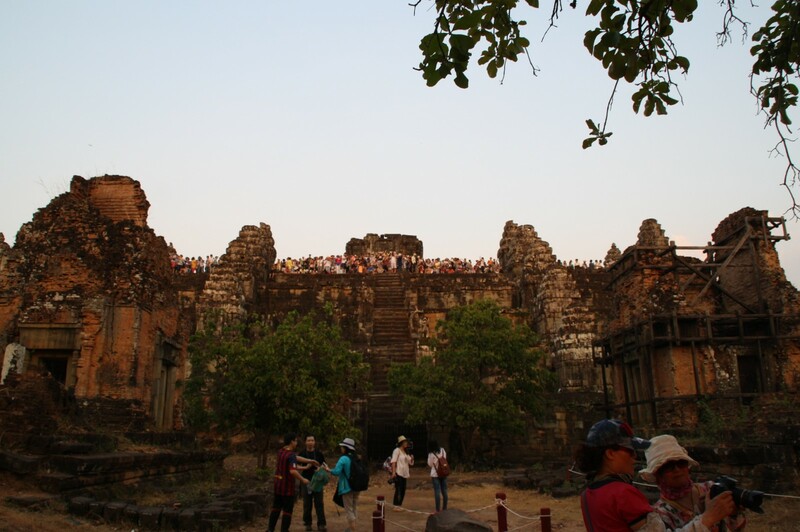 In fact it depends on your criteria, are you traveling on budget, traveling alone, do you want to meet people, do you want to see the very rural outskirts of Cambodia and subsequently Thailand? If the answer is “YES,” then go for it – if it is “Yeahh maybe” then read the below, you might get convinced – if it is “NO,” then still read the below to know why you do not want to do it. First of all, it is a cheap trip, 10 dollar for the bus leaving at 8am, but you also have 9am and 11:30am bus, even a night bus leaving from Siem Reap at 2am, the latter two options are slightly more expensive, 20 dollar maximum. Poipet (Cambodia border town) to Aranyaprathet (Thailand border town). When you arrived at Poipet and exit the bus, the bus driver will give you a color sticker tag just to recognize you during the transfer, which I am going to explain. First thing is to exit Cambodia; the border control counter is outside, meaning the queue is outside (temperature is 30°C+). Exiting Cambodia can be fast if you are part of the first buses that arrived in Poipet, or can be very long if you are part of the last buses to arrive. Once you are done with border control, you will walk for maybe 500m-1km to the Thai border Control and request your entry visa to the country. The border control in Thailand is in a building with air conditioning, and again time will vary depending on when you arrive. After you get your stamp and exit the building, you’ll have to wait outside (on the Thailand side) for the driver to recognize you with the color sticker tag you receive previously. You may have to wait for a while, it depends on how many people are there, and on how well or not drivers are organized. In fact on the Thai side, you get on board on a new bus or mini van, you will not be in the same bus you came with from Siem Reap. The new bus is likely to be a mini van, taking only 10 to 13 people. Aranyaprathet to Bangkok. Once you are in the minivan, it is a four to five hour trip to Bangkok. The mini bus will stop time to time for food, restroom, gas, etc. The scenery is ok, nothing fantastic, it is a trip where you want to have a book, or some music, or just be tired and sleep. 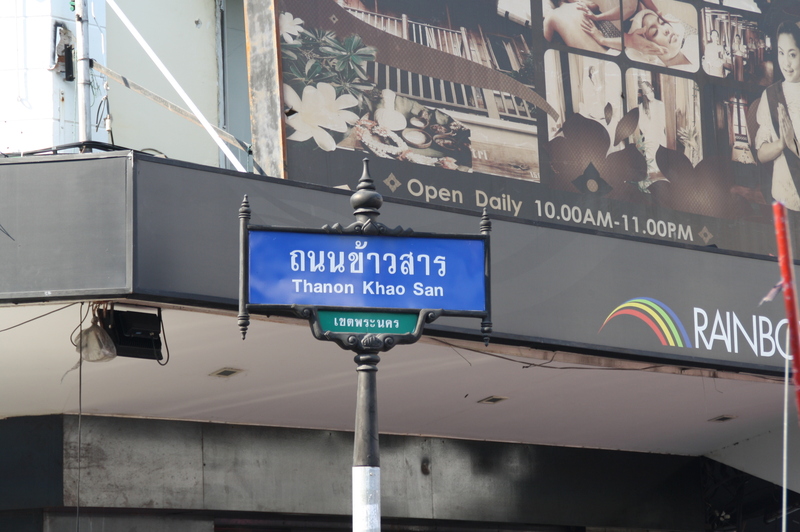 The bus will drop you at Khao San Road, the famous backpack street in Bangkok. Although tiring, I believe it still can be fun, especially if you meet nice people while traveling. 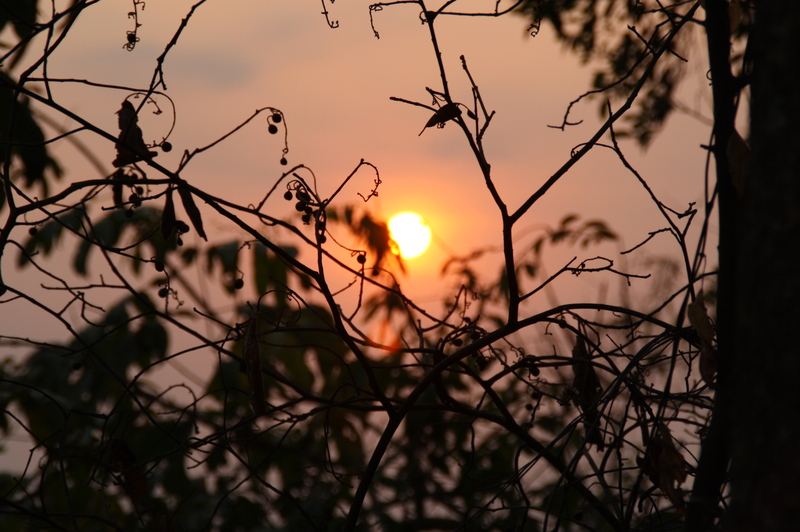 Cambodia is a great country to visit; I highly recommend it to anyone visiting South East Asia. Despite the poverty, people are nice, friendly, and welcoming. I also think they are genuinely honest – of course you will sometimes bargain, but it is not comparable to other countries in South East Asia. If you visit Cambodia, try to do it all, cities, villages, beach (I didn’t). Travel using buses, taxi, tuk-tuk, and boats if you can, and while exploring the country, try the Khmer cuisine. If you are an adventurer, and you meet the right tuk-tuk driver, you will even get to try real exotic food such as dog meat and local rice wine (2nd and 3rd picture). 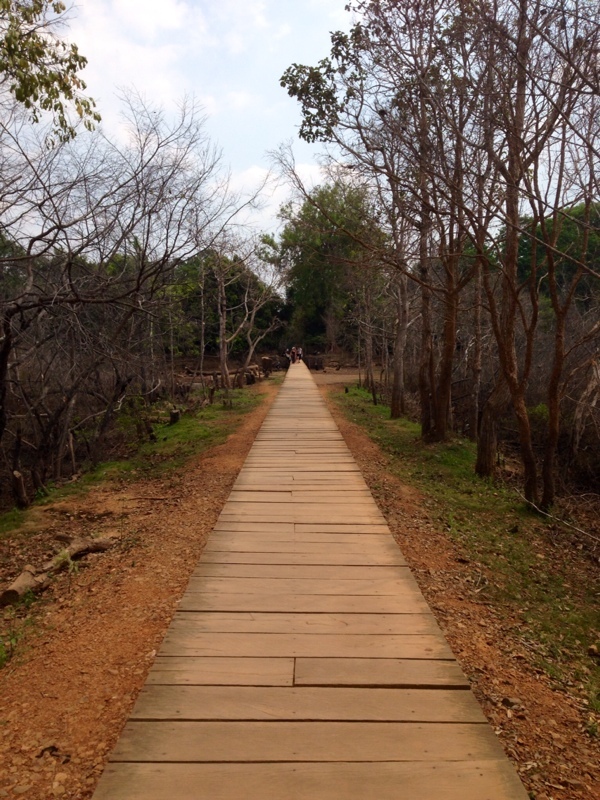 Kampuchea as the locals call their country is an amazing place with plenty to do for all tastes. It is a safe bet if you are looking for a trip with adventure, History, architecture, food, or just looking for an inspirational trip.